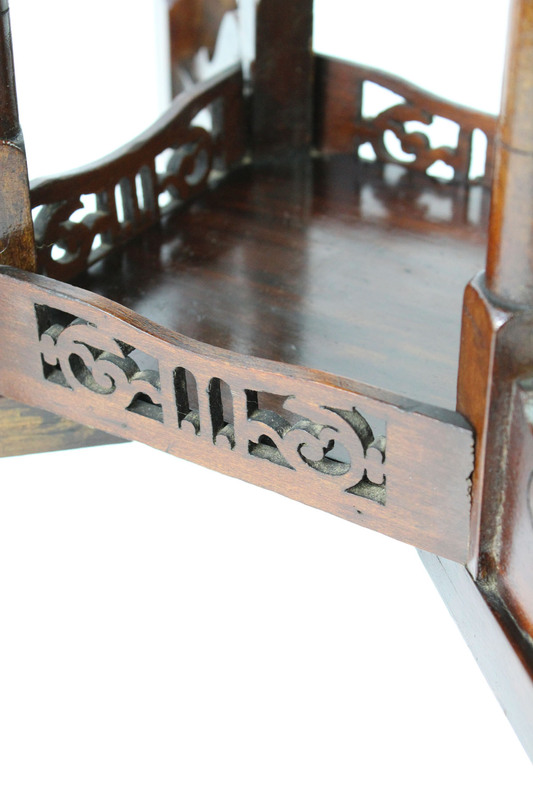 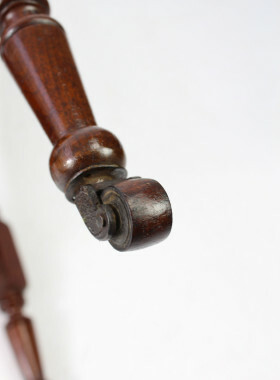 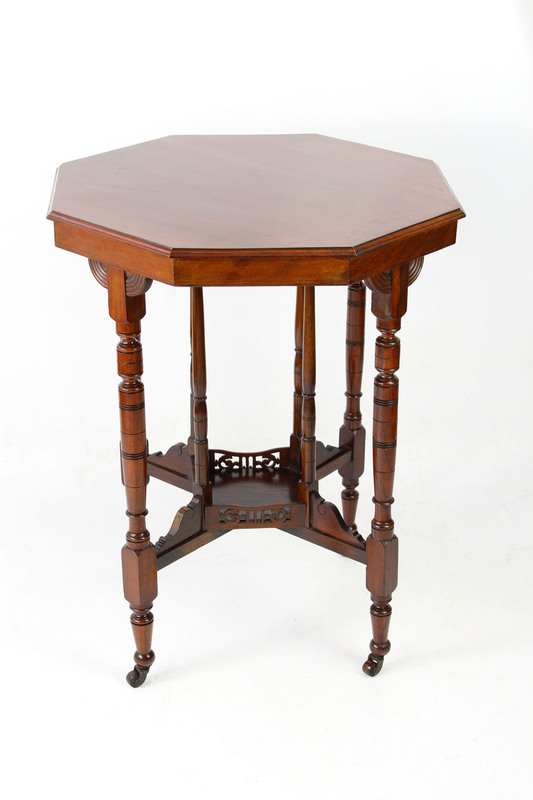 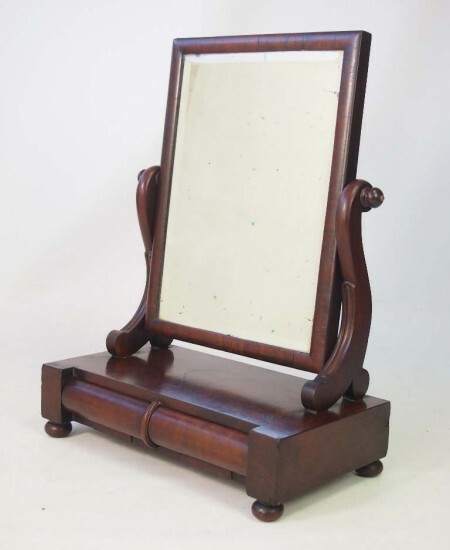 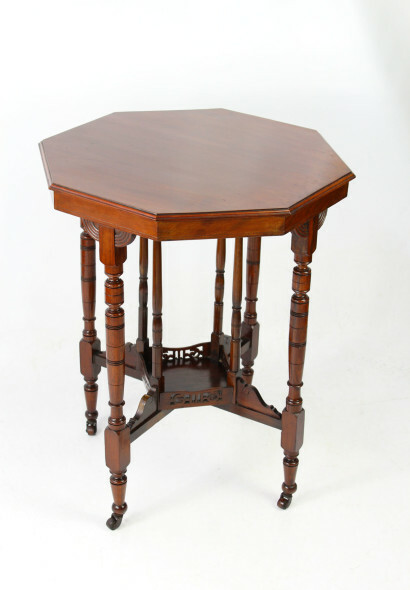 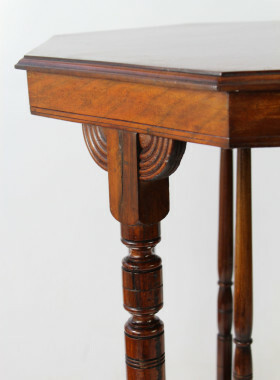 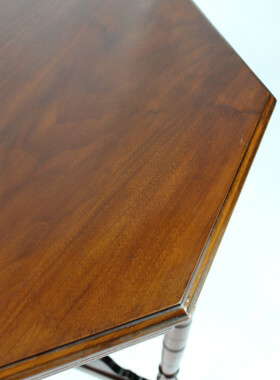 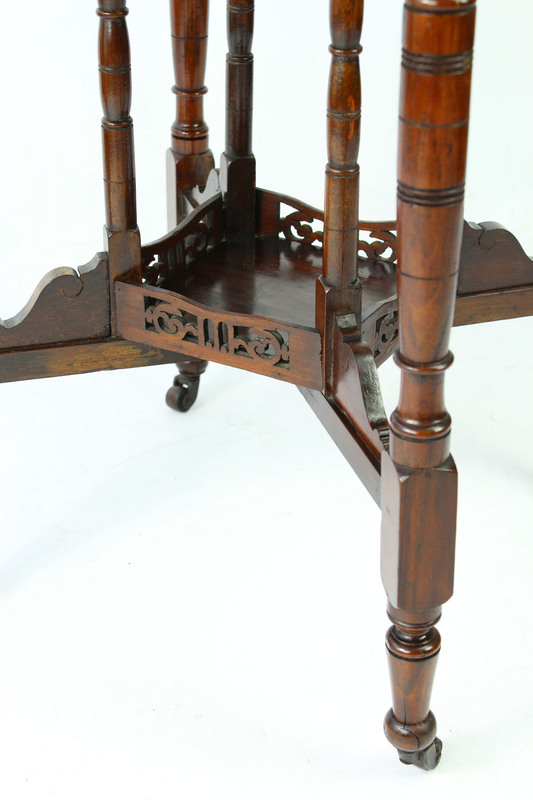 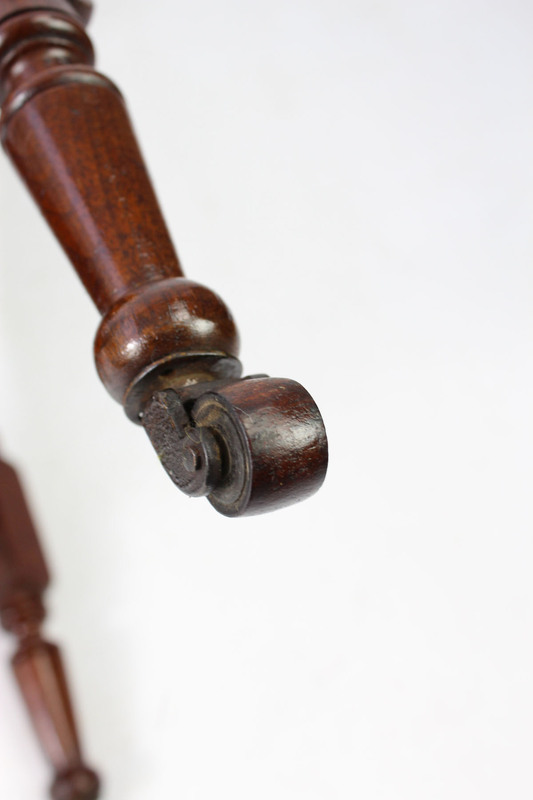 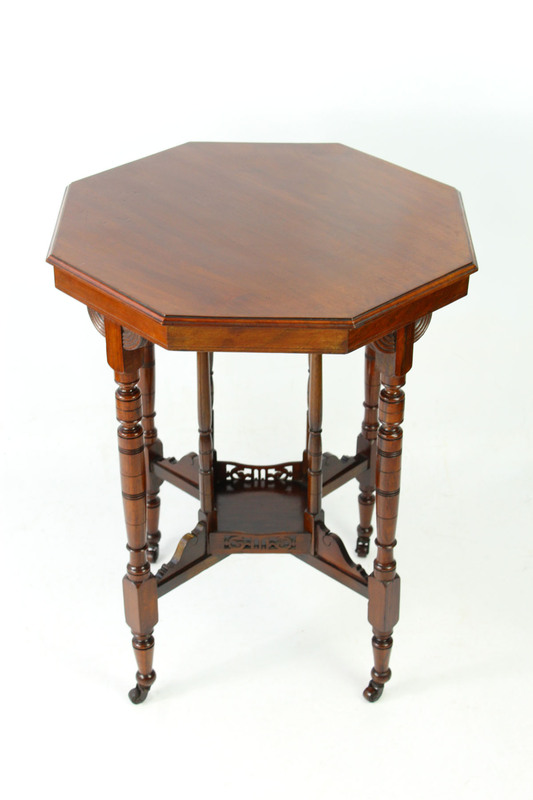 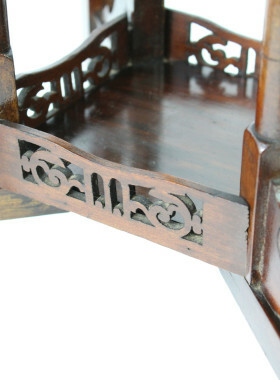 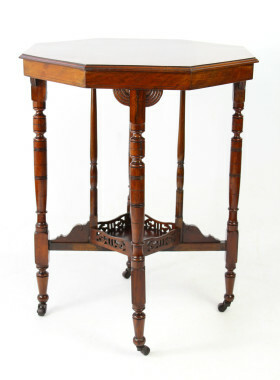 A antique Victorian arts and crafts walnut coffee table / lamp table dating from circa 1895. 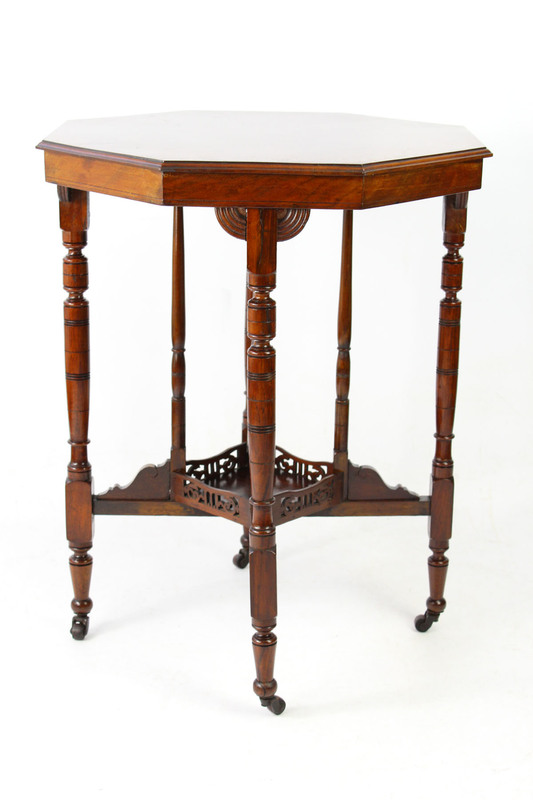 A antique Victorian arts and crafts walnut coffee table / lamp table dating from circa 1895. 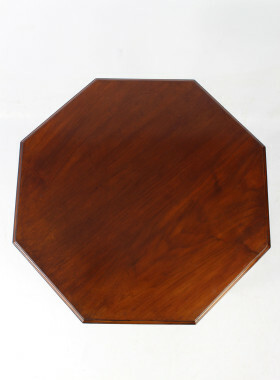 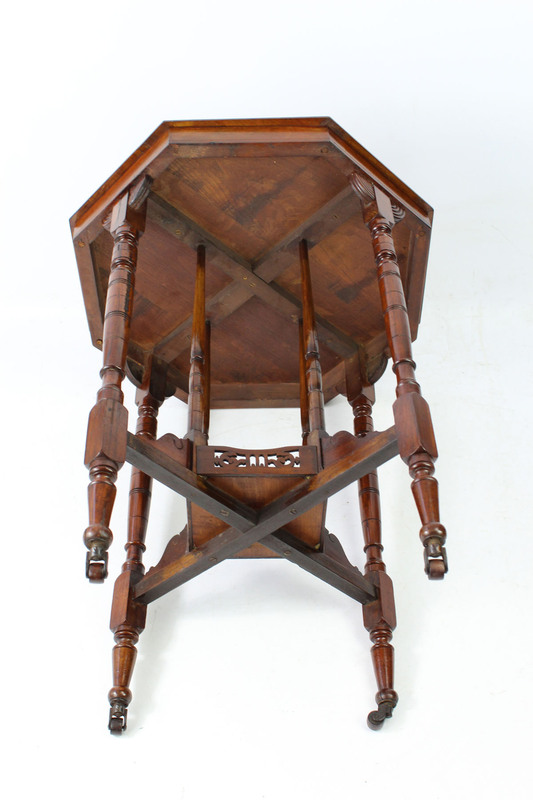 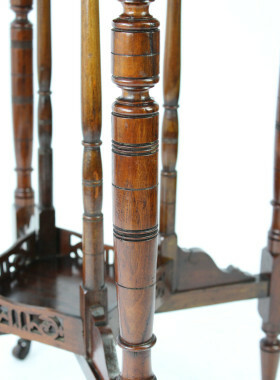 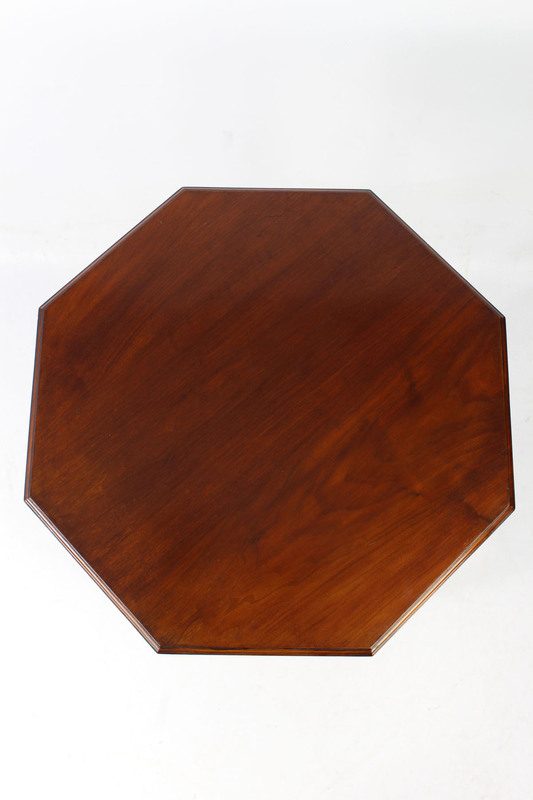 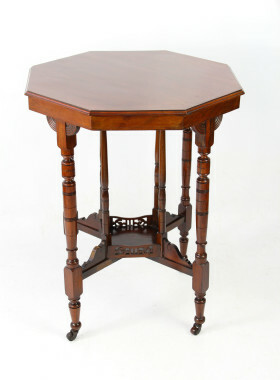 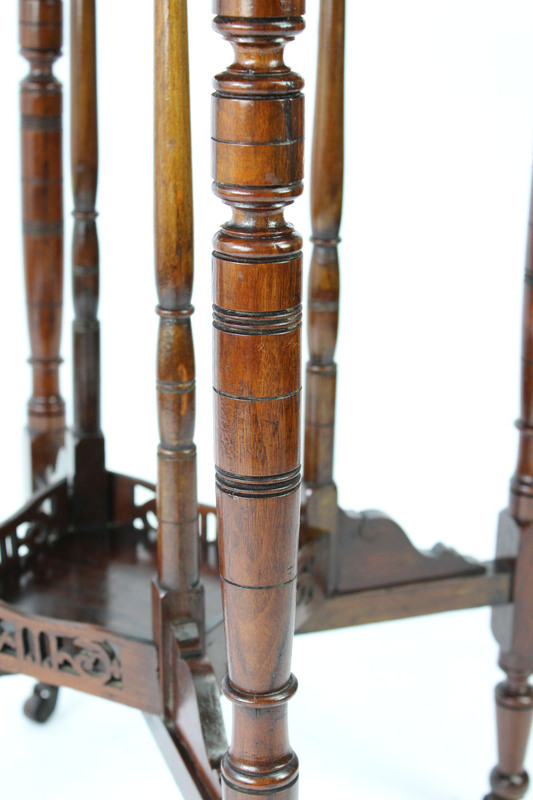 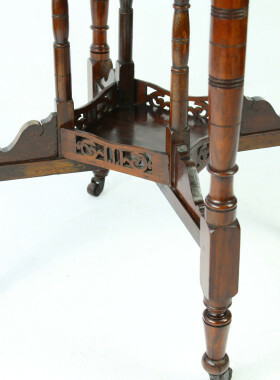 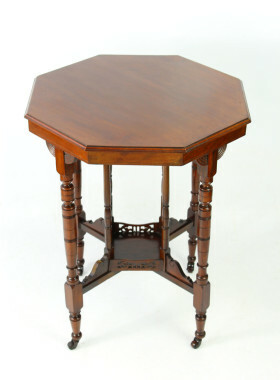 With octagonal top on four turned legs, with two tiers, the lower tier with pierced gallery and standing on unusual wooden casters. 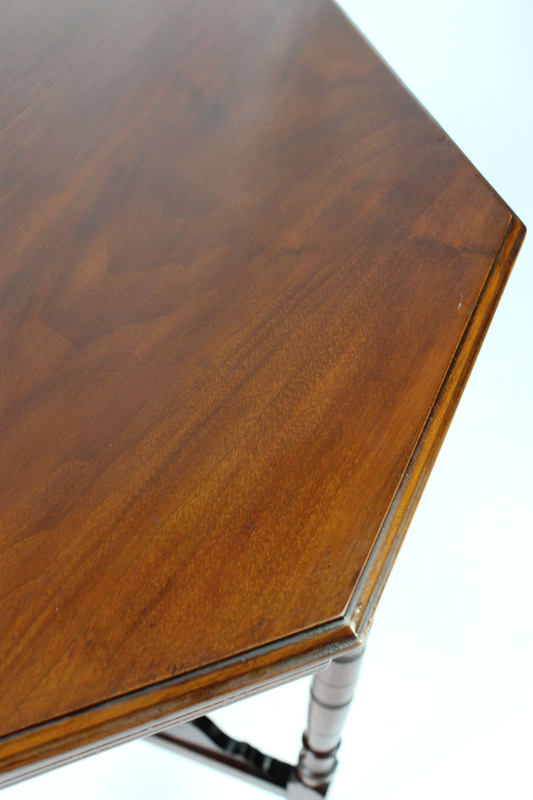 Solid and sturdy, a stylish small table in solid walnut, with good colour and patina. 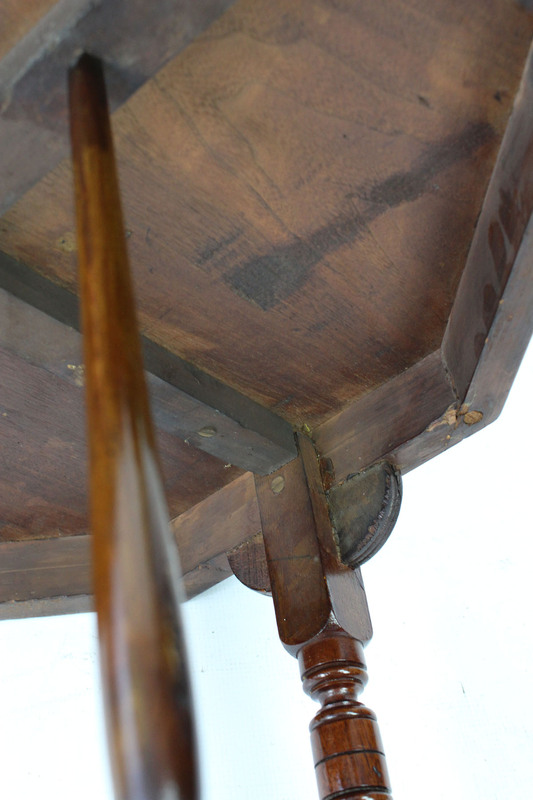 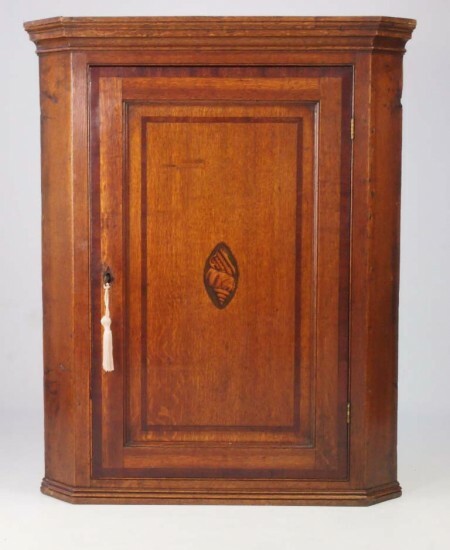 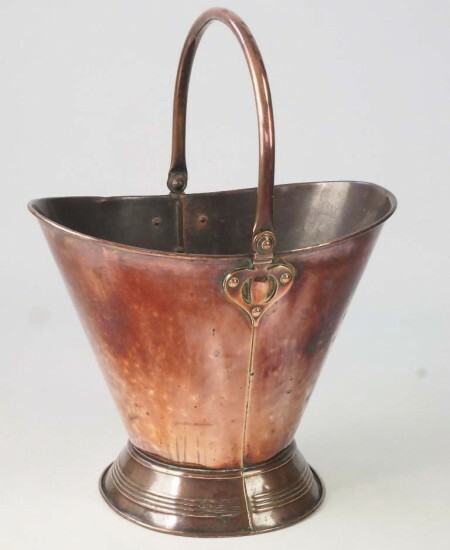 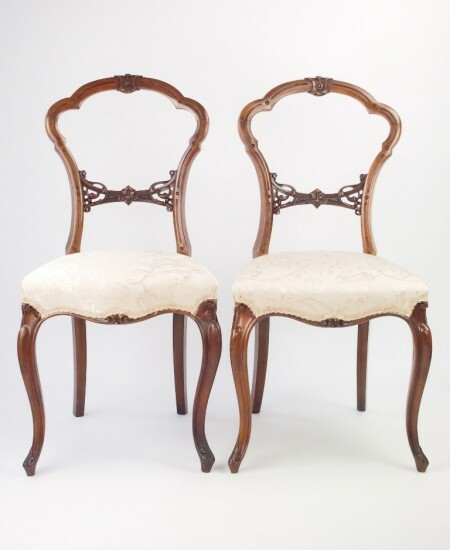 Solid and sturdy, general wear and marks commensurate with age.